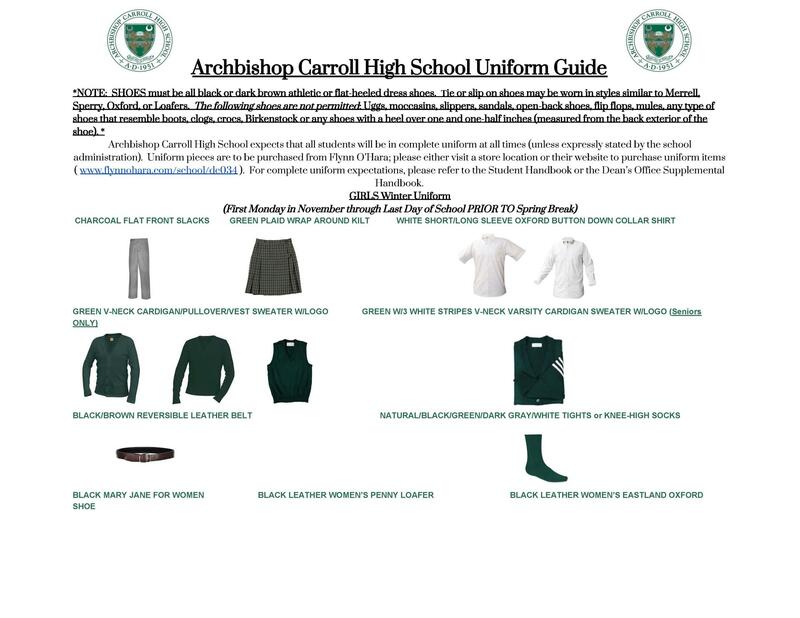 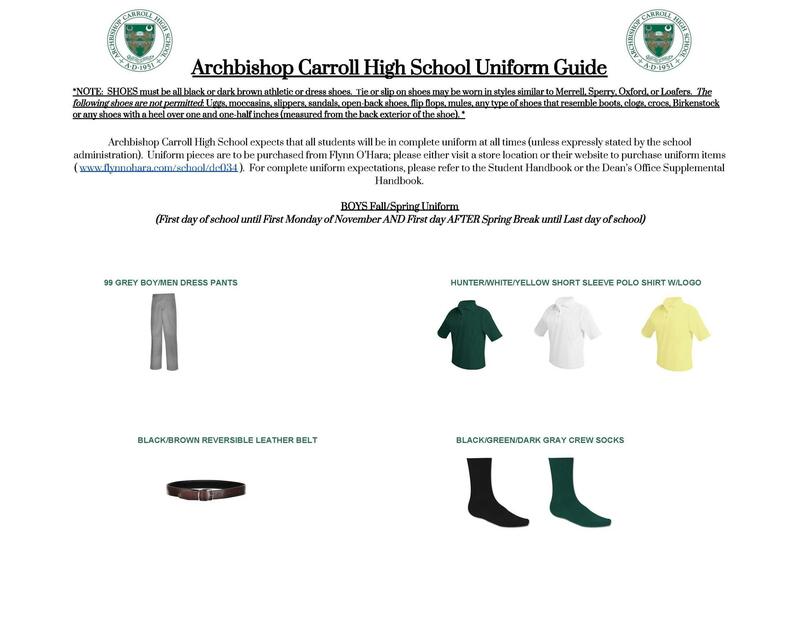 Archbishop Carroll High School expects that all students will be in complete uniform at all times. 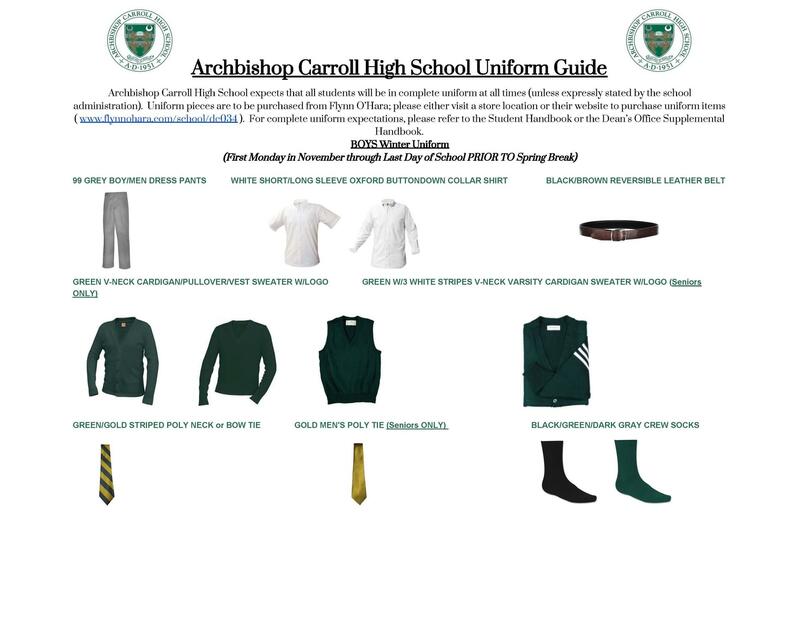 Students are to be neat and well groomed at all times as well. 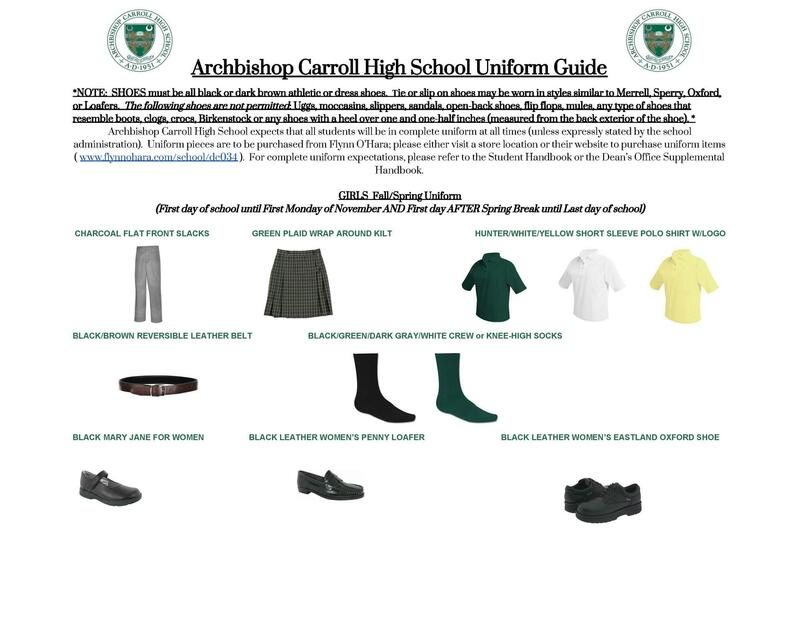 The Fall / Spring uniform is worn from the beginning of the school year through the first Monday in November and from first day after spring break through end of the school year.